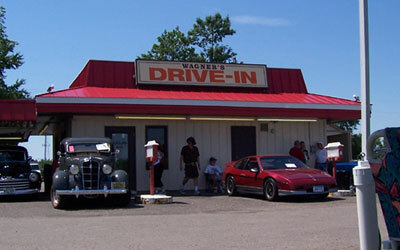 Wagner's Drive-In has a long history. It was started over 35 years ago by Ed and Anneliese Wagner in St. Louis Park Minnesota with the help of their children. Over the years expanding to second Drive- In Brooklyn Park. Many of the menu items that Customers enjoy today were developed. Today the tradition of excellent food continues. Jim the Son continues the tradition of making things from scratch, paddy the hamburger, make homemade soups and Cole slaw, bread the chicken & more. Wagner's continue to cater also. Ed started this back in the early 70's when Saturday came in the car sales business many times the men would be unable to leave and get lunch so he would make a meal fresh and hot for everyone working including the support staff. Many of Ed's co-workers who enjoyed the food would move on to other car dealerships and call to see if he could make some food for their place also every Saturday. The Catering expanded to weddings, graduations, holiday parties, picnics & more. 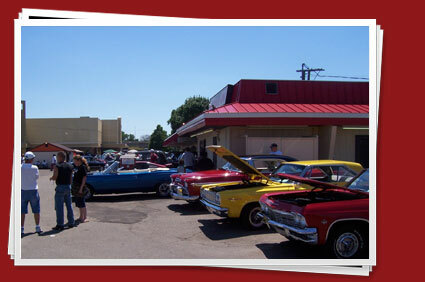 Check out the Wag-Niters Car Club! Stop by the Drive-In in Brooklyn Park where we continue the same great tradition. Coupon must be printed to be used.